This map is story-based. There will be decisions, challenges, and puzzles, but the story will always progress and guide the player to the next area. However, there is a lot of freedom during the adventure, as it plays nearly identically to a CTM map, with the next biggest difference being the length; there's only one intersection. Expect an experience with many features, surprises, and dangers! This is a survival adventure. You can break as many blocks as you want, sometimes even revealing secrets. Most of the materials you need can be found in chests, so use those primarily, but any other things collected are free game for crafting. Voice is trustworthy; anything it tells you will be the truth. And as always, the last rule is to have fun! 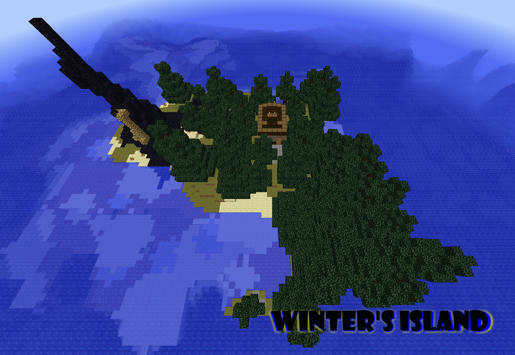 This is a map I began around October of 2013. It had been in my mind for a long time to create a large project, and my wishes are finally coming to fruition. I finished High School, and was free to work on the map, but I lost a lot of motivation until finally resuming work in October of 2014. 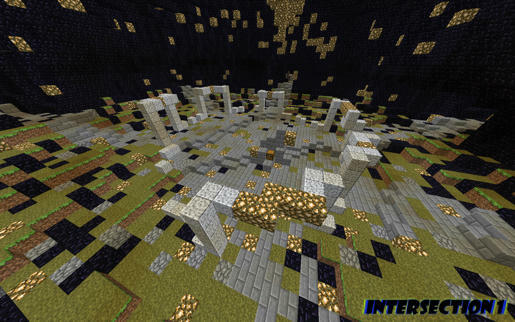 All of the chambers, as well as the final area, ending sequence, and credits, were considered finished on December 23, 2014 and the map was put onto the main forum the next day. Over the course of the next few weeks, I was able to get feedback from some testers and reviewers and make quick changes. That was pretty cool. 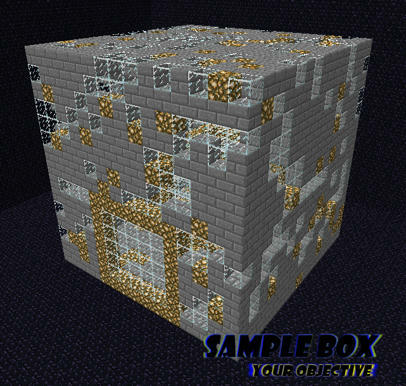 Huge update for Minecraft 1.12! All of the command block machines have been refurbished and work wonderfully. Fixed the final area so it works now. Endgame and Credits are accessible. Looks nice. How long would you estimate this map takes? To legitimately play through, others have found about 5 hours. Meaning to say, It's not short on time or area, if anything. There's only one intersection; to get my feet wet and establish my presence. Oh? Only 1 hour and intersection? That wasn't clear. Is this finished or WIP? If it's finished, my advice would be to label this AS a miniCTM with a story focus. Don't beat around the bush with "nearly identically to a CTM"
Changed the title. I wasn't even aware that miniCTM was a thing. I consider it finished. 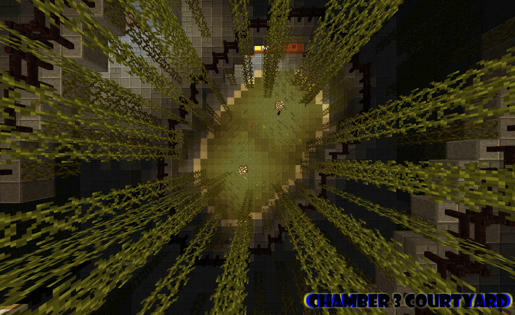 There's 5 chambers and a boss battle. I've been focusing on storyline and fancy machines a lot, rather than brute quantity. There's enough of a connection to CTM maps that I noticed and built on it. It is, however, an adventure map. Looking back and comparing my map with other maps' size and length that I tried, I'll modify my estimate to 3-5 hours. My areas are a lot bigger and, even though I was pausing to write comments while playing through the other worlds, I realized my initial guess had to have been wrong. Rift Up is no small project. If I make more of this type, maybe I can be clever and call them Adventure The Monument maps, abbreviated as ACTM or aCTM. I have made a trailer. It appears you are showing some monumental work! A hero from Dungeon Boss. Aha, that's a good one. Actually, though, the VM is not what you might think. My cousin and I just played this over LAN. Took us about 6 hours all told, though we were both new to the CTM genre, so inexperience may have played a role. I do have a few bugs to report, though. The poison from the water area was inconsistent and would sometimes activate when we were on land in the intersection, most notably every time we teleported home from area 5. The electricity in area 5 didn't work until after we had cleared it, making it way too easy to beat, and incredibly annoying to gather resources from after it was supposedly deactivated. The area 5 electricity affected both of us whenever one of us hit a wire, even if one of us was still in the intersection. Luckily I had cheats turned on, so he was able to teleport back to me. Massive lag once we entered the final area. My computer isn't the beefiest, but it wasn't having much trouble up until that point. Other than these problems, it was a fun introduction to the CTM genre for both of us. Every time you post a question without first consulting the wiki, I die a little inside. Updated machines for better use in multiplayer. Added rsmalec, Johnny Trask, and lazyrunner to the credits. Fixed ending sequence for better group use. Changed biomes in some areas. Moved some machines to reduce noise. Added extra supplies for the event of the player perishing. The experience should be a bit smoother, now. I've fixed some clocks that activated items which help the player understand the story. Also, some things should be more consistent. Added an anvil at the lab. Here's my video series on the map., More to come later. I've updated the map to version 1.1.1. This includes a new rule: turn clouds off. Other updates were somewhat trivial, such as fixing clocks and machine performance. Apart from that, I lit up some machine areas that I didn't realize were draped in shadow, making mobs spawn and causing general havoc. In other news, MediaFire says that the .zip file has been downloaded 120 times. Sweet. I hope this version is a lot smoother. Enjoy. I really really enjoyed the generators branch, and the final cutscene. Total playtime was a little over 5 hours. I hope to have a video out in a week or so.